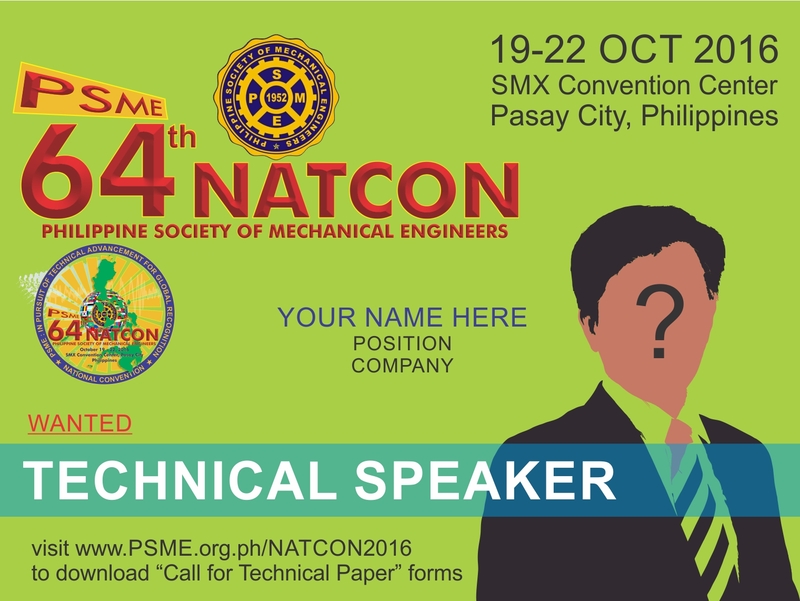 E-mail natcon@psme.org.ph for rates with meals. All submissions should be emailed to: technical@psme.org.ph and archie.maglaya@dlsu.edu.ph. 2. No refund will be made after AUGUST 30, 2016. 4. Deadline of submission of ADVERTISEMENT MATERIAL (jpeg high resolution) on AUGUST 15, 2016 PSME is not responsible if the advertisement is not printed due to the late submission. 6. Full payment on or before September 15, 2016.